The early form of scissors in China is made with a single piece of flat metal stripe ribboned to form a kind of spring shear. As times goes by the pivot point moved further away from the blades developing better control for the tool. 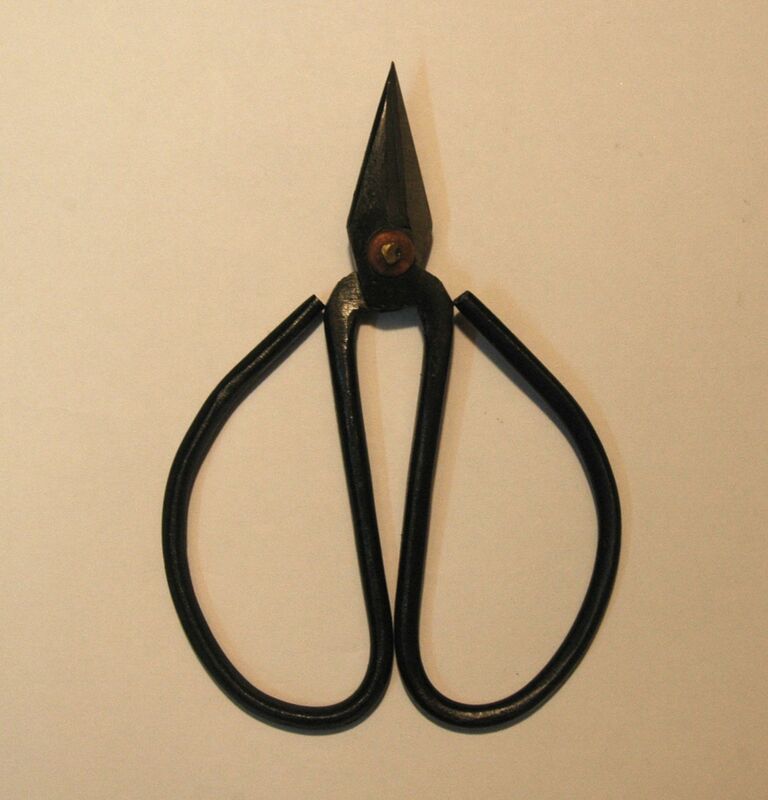 The two parts scissors only started to appear in the Zong Dynasty, the two blades were held by a nail with the rest of the metal bar forming the handle. To reduce the friction caused by the two blades, the blades are made slightly curved, touching only at the pivot and the tips. During cutting only one point will meet to enable the shearing action, this is controlled by the hand movement of the user (so unlike the western scissors, the pivot are tuned loose).